Christmas is coming, and with the weather indulging in brittle convulsions of cold for many of us here in the northern hemisphere, it seems like a good time to write something to bring a little warmth to our hearts. 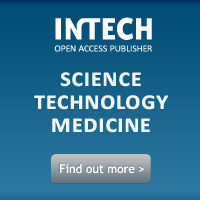 As you have probably gathered by now, at InTech we are doing our best to play a useful part in a campaign to open up scientific knowledge for everyone who needs it, regardless of the financial resources at their disposal. Apart from anything else, not only do the fruits of this research have the potential to save lives and make a better world for us all, they are often fascinating and beautiful too. There are many arguments for bringing scientific research findings to the widest possible audience. The open access movement is not one that excludes any other manner of publishing, as David Crotty suggested in his recent article for the Scholarly Kitchen, “The Future is Not a Zero-Sum Game“. Nor does open access exclude subjects other than science, although there are several reasons why the majority of OA material does at present lie in the scientific domain. In the spirit of celebrating a year when the balance seems to be tipping in favour of transparency and openness, I would like to share with anyone who might not yet have come across it something which is definitely not science but which embodies the values of the open access movement to its core. This is something that shows what can happen when we take ideas which inspire us, from wherever in the world they may be, and create something new from our own unique perspective. Something that shows how life opens up new avenues when you strike up conversations with the people around you, collaborate and learn from others. 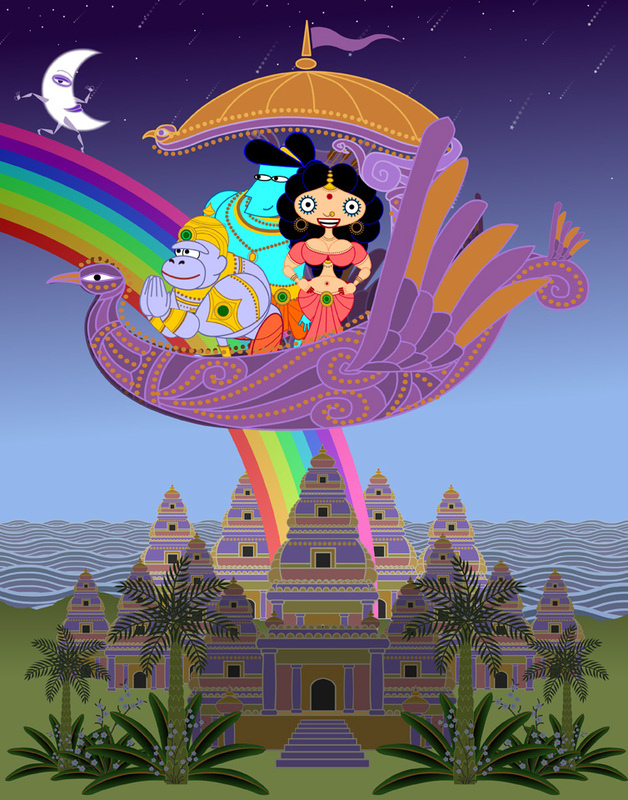 This is an open access film called “Sita Sings the Blues” by Nina Paley, a an artist and self-taught animator from Illinois, USA. Nina Paley had, over the years, built up modest success as a cartoonist. In 2002, her husband was awarded a job in Trivandrum, India, and although Nina moved to join him she soon found her marriage disintegrating. Nina moved back to the States, and, nursing her broken heart, she found her thoughts leading her back to her time in India. Seeking solace in the written word, Paley turned to a volume on her bookshelf, the Sanskrit epic of the Ramayana, which together with the Mahabharata forms the core of Hindu teaching and Indian cultural consciousness, as well as informing religious thought and culture in other countries. Among the many stories of demigods and demons that unwind through its 50,000 lines, the tale of Sita, the gentle and eternally devoted wife who suffers terrible rejection by her husband, Rama, spoke immediately to Paley. Nina had first experimented with animation aged 12 or 13, when she borrowed a neighbour’s Super 8 camera. She dabbled again aged 30, and when she met her (now ex-) husband, also an animator, from whom she learned some more up-to-date techniques. “Sita” is a combination of hand-drawn watercolours and videotaped dance animated in After Effects and Flash on Paley’s computer. It is simple, but dazzling. 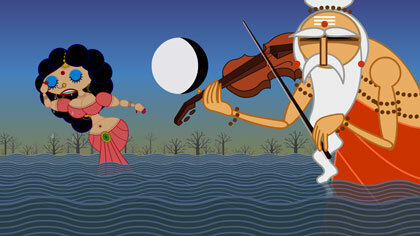 The film represents diverse interpretations of the Ramayana as recounted by collaborators from many regions of India. Visually, it draws on traditional shadow-puppet plays, Rajput painting, Bollywood-esque interludes, scenes from the animator’s own life, hallucinatory excursions into Beatles-like territory and more. Colourful it is, boring it ain’t. “Sita Sings the Blues”, and likewise the film’s creator, have not been without their critics, from left-wing academics who claim that a white American has no business enjoying Indian culture to religious fundamentalists who say pretty much the same. Most problematically for Nina, large media corporations still (after more than 80 years) control the rights to the Annette Hanshaw songs used in the film – not the recordings themselves, but the underlying compositions. Bizarrely, the goodwill of the companies themselves is not the issue, but the system which makes it too expensive for them to negotiate a special deal for this no-budget production. Right now, “Sita Sings the Blues” could be the cause of a hefty lawsuit for its creator due to the stalemate in copyright issues. Meanwhile, how does Paley live, when she receives no income from the distribution of her work? Since its release in 2008, “Sita” is being enjoyed by people all over the world, many of whom are probably hearing about the Ramayana or Annette Hanshaw for the first time. Critical acclaim is almost universal, as today’s Rotten Tomatoes and Metacritic reviews show. It would be interesting to know how sales of printed editions of the Ramayana or Annette Hanshaw recordings have fared since the release of the film. 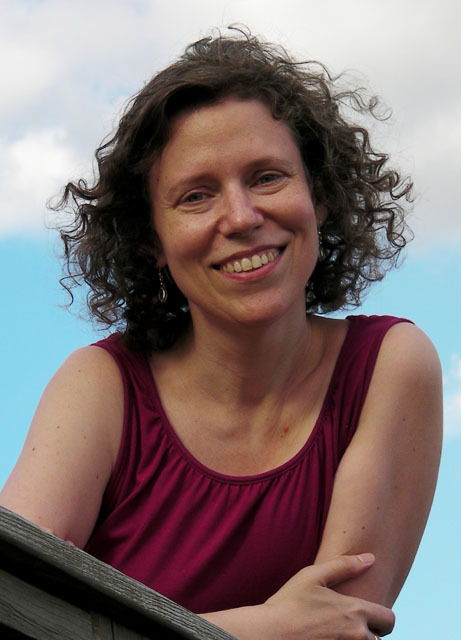 Nina Paley - writer, director, producer and animator of "Sita Sings the Blues"
Of the difficult legal position she finds herself in regarding the Hanshaw recordings, Paley says. However, awestruck by the magnitude and absurdity of the problems she had in bringing Sita to her audience free of charge, Paley became a free culture activist, announcing her intent to release all of her work to date under a copyleft licence, free to be reproduced, shared, remixed and distributed all over the world under the same copyleft terms. Quotes from Nina Paley from www.sitasingstheblues.com and an *article by Alex Remington: “Interview with Nina Paley, Animator and Director of Sita Sings the Blues, a Fantastic Jazz Musical Retelling of the Ramayana”. Stills from the animations are © Nina Paley 2008. Photo by Ian Akin published under Creative Commons Attribution 3.0 – you may copy and share without permission. This entry was posted in Creative Commons, InTech, Open Access, Uncategorized and tagged copyright, Creative Commons, InTech, Nina Paley, OA, Open Access, open culture, open science, Sita Sings the Blues. Bookmark the permalink.